Welcome to the March installment in this series of posts designed to explore the Operation Maths topics on a month-by-month basis, giving teachers greater insights into the concepts at hand, when they are most relevant. Pssst! The Edco Primary Publications launches for 2019 will be taking place around the country during March and April. As well as launching the new SESE programme Explore with Me, the new English Core Skills Let’s Talk Literacy and Bua na Cainte 4, they will also be showcasing Operation Maths, Number Facts and other Edco publications. Click on the link above for more information and to register. Junior Infants: Representing and Interpreting Data (week 1), exploring aspects of Shape and Space via 2D shapes, 3D objects and spatial awareness (week 2), and developing an understanding of the concept of Time via sequencing of familiar daily events and the days of the week (week 3). Senior Infants: Length, Analysis of Number (Numeration) looking at the number ten; Comparing and Ordering and Combining and Partitioning amounts to up to ten. They will also further consolidate their understanding of Pattern (Algebra) and graphs (Representing and Interpreting Data) via linked activities. First Class: Length, Operations (addition and subtraction without renaming) and Fractions. Second Class: Operations (addition, without and with renaming, and subtraction without and with renaming, the latter of which is new content while the other material will be revision of first class work); Length (including the formal introduction of the centimeter as a standard unit of measure). Teachers of Infants to Second Class: if you have not yet recorded the results of the Operation Maths End of Februaury Assessments please check out the Excel Record Spreadsheets to accompany the rest of the assessments in the Assessment Booklets; if you have any suggestions for how to improve these, please leave them here. Engineer’s Week runs from Saturday 2nd to Friday 8th March. There are obvious connections between Maths and Engineering, a fact which is being celebrated by the STEM (Science, Technology, Engineering and Maths) movement globally. Click on the link above to download a primary school challenge pack which contains lots of ideas to help you organise fun challenges that create a positive awareness and spark enthusiasm about the engineering profession in young people. For infants, the Aistear Themes are an ideal way to explore STEM using a thematic focus; consult the Junior and Senior Infants TRB for the monthly Aistear suggestions. Pancake (Shrove) Tuesday is Tuesday 5th March. Recipes naturally provide great opportunities for real world maths, for example identifying the measures and amounts required, adding the correct measures to the mix, adapting the recipes to suit more or less people, etc. For more maths-related activities check out these pancake problems. Carry out a survey to find out the favourite books / authors of the children in your class. Or choose a page from a book. Work out the average number of words per sentence. Both of these are included among many other suggestions from Teaching Ideas for World Book Day. 3-D shapes or 3-D objects? In the PDST Shape and Space manual, it is suggested that “using the word ‘shape’ to describe both 2-D shapes and 3-D shapes can cause confusion for pupils”. For example, asking pupils to ‘describe the shape of this shape’ highlights one problem. Another problem is that pupils must be able to think of all cuboids as being ‘the same shape’, while mathematically speaking all cuboids are not the same shape. The manual goes on to suggest that it would be more helpful to refer to 3-D things as ‘objects’. Using ‘objects’ also reinforces the notion that if it can be physically handled/picked up, it must be a 3-D object, as opposed to a 2-D shape which should always only have length and width, not depth/height. So, throughout the Operation Maths books, this topic is titled 3-D objects to avoid confusion and to provide clarity for the pupils. However, wherever there is reference to “strand unit”, the term 3-D shapes is used, as this is the term used in the 1999 Primary Maths curriculum. So what first? 2-D or 3-D? 2-D and 3-D objects are very inter-related, to the point that there is often much debate about which of the topic should be taught first; 2-D shapes, 3-D objects or teach them both concurrently. Since 2-D shapes are lacking the third dimension of depth or height that their 3-D relations possess, this makes them quite abstract as only flat, drawn/printed shapes are truly 2-D. Whereas, 3-D objects can be picked up, manipulated, used for constructions etc., making them much more suited to the concrete learning experiences that are essential in the early years. They are the objects that we find in the real-world. Thus, since 2-D shapes are only flat representations of the faces of 3-D objects, it could be argued that it would be more logical, and more in line with the concrete-pictorial-abstract (CPA) approach, to teach about 3-D objects before 2-D shapes. On the other-hand, it could be argued that 2-D shapes should be taught first as it is likely than young children would be more familiar with them. For example, the vocabulary of 2-D shapes features more regularly in common speak than the vocabulary of 3-D objects. Many children will likely have encountered many 2-D shapes from picture books and patterns around their homes, etc. And so, it remains inconclusive as to which order of progression is most beneficial! In the Operation Maths books, the children meet the specific topic of 2-D shapes prior to that of 3-D objects each school year. However, it is envisaged that by the time the children in the junior classes are formally engaging with 2-D shapes, they have already encountered and informally explored both 2-D shapes and 3-D objects via the monthly themes (laid out in the long-term and short-term plans of each TRB) and in the suggested Aistear play activities (detailed also in the TRB) of which, the Aistear theme of construction is particularly relevant. Undirected play may include sand and water play, use of formal construction toys, constructing using “junk” or found materials; any activities that allow the children to handle and manipulate shapes and objects. In the Operation Maths TRBs for junior and senior infants there are ample suggestions for suitable activities, under the headings of various themes. “Undirected play” does not imply that the teacher is superfluous to the process; rather while the children are the instigators, the teacher can play a vital role, observing the way in which the children interact with the materials, and asking the children to explain what they did, how they did it and why they did it that way. This can be a great way to assess the prior knowledge and language that the children may already have. Sorting and ordering activities include the Early Mathematical Activities (EMA) used early on in the infant classes; thus it is likely that shapes and/or objects have already been used as part of these activities, for example sorting and matching according to colour, size etc; ordering according to length/height etc. Sort 2-D shapes according to the number of corners and the number and type of sides (straight, curved or both; sides that are different or the same). Sort 3-D objects according to those that roll/do not roll, slide/do not slide, build/do not build, are hollow/solid; as a development, according to the number of corners and the number and type of faces and edges (please see end of post for more information on faces and edges). The teacher can also isolate shapes/objects to create sets and then ask the children to identify the rule of the set: “What’s my rule?” (see image above). The children can also be encouraged to play the “What’s my rule?” game in groups. Isolate a particular shape/object in the room and ask the children to locate others that are the same/similar and make a set of like objects/shapes. The children may also be naming the shapes as part of these explorations; however this is not necessary as it is more important that they appreciate the similarities and difference between shapes, rather than identifying them. Build the tallest building/castle that you can. What objects did you use/not use and why? Dip a face of a 3-D object in paint and use it to print. Make a pattern using the prints. What do you notice? Try printing with different faces of the same 3-D object. Are the resulting prints the same or different? Push 3-D objects into sand/plasticine to make imprints. Or (if able) trace around the 3-D objects on paper to make designs. Use cut-out shapes, gummed shapes, tangrams and/or pattern blocks to make pictures and patterns. Use the shapes to cover surface of your book/mini-white board; which shapes did you use/not use and why? Combine two shapes/objects to make a new shape/object. As part of the building and making activities the children may begin to realise how certain shapes/objects can be combined to become other shapes/objects. Similarly, through the reverse of these activities, and other shape cutting activities, the children should begin to realise that shapes can also be separated (partitioned) to reveal new shapes. This can include deconstructing 3-D objects to reveal their net. These activities can be revisited once the children can also name the shapes/objects, so as to arrive at certain understandings and become more accurate with mathematical language eg that two squares can make a rectangle; that, when using tangrams, two of the same size triangles can be rearranged to make a square, a larger triangle etc. Identifying the specific shapes/objects evolves from the previous activities as the children begin to realise that it is the specific properties and attributes of a shape/object that defines it, eg all shapes with three corners (and three sides) are triangles, irrespective of their size or colour and irrespective of the measure of sides and corners (later to be referred to as angles). Activities which will serve to reinforce this include “Guess the shape/object” using descriptions (see below), guessing unseen shapes/objects from touch (eg in a feely bag), locating a specific shape from a collection using touch alone. Through the experiences of printing and imprinting with the 3-D objects, it is also hoped that the children realise that the flat faces of 3-D objects are in fact 2-D shapes. The children in these classes will continue to sort, describe, compare and name shapes as done in infants, but to now also include new shapes and objects i.e. semi-circle (1st), oval and cone (2nd). They will continue to construct and make shapes, extending this to creating and drawing the shapes themselves. Q: How many faces on a cylinder? Three or two? Traditionally, in Ireland, and in Irish textbooks, a cylinder was recorded as having three faces. However, this is not mathematically correct, as strictly speaking a face is flat, and a 2D shape (figure), so therefore a cylinder has in fact only two faces, (both circles), and one curved surface. And while it may be argued that a cylinder has a third face i.e. the rectangular shape you see when you disassemble the net of the 3-D object, in this disassembled state it is no longer a cylinder, since it can no longer roll, a specific property of all cylinders. Another way to think about the faces of 3-D objects is to consider the number and shape of the resulting outlines of tracing around, or printing, each surface of the 3-D object. It is only possible to trace around the opposite ends/bases of the cylinder, since only these are flat, thus it has only two faces, both of which are circular in shape. Similarly, it is only possible to trace around one surface on a cone, which therefore means it has only one face (a circle) and one curved surface. And how many edges on a cylinder? Officially none, as an edge is where two flat faces meet and the faces on a cylinder are on opposite sides and do not touch/meet. However, that leaves the problem of how to describe the place where each face meets the curved surface. So in Operation Maths, as occurs typically in other primary texts in other countries, there is a distinction made between straight edges (which are in fact true edges) and curved edges (which strictly speaking are not edges). And welcome to the fifth installment in this series of posts designed to explore the Operation Maths topics on a month-by-month basis, giving teachers greater insights into the concepts at hand, when they are most relevant. Junior Infants: Analysis of Number (Numeration) looking at the number five, Comparing and Ordering and Combining and Partitioning amounts up to five. Second Class: Money, Symmetry, Operations (addition and subtraction without renaming, including subtraction as deduction) and Fractions. Psst! Teachers of Infants to Second Class: if you have not yet scored and recorded the Operation Maths End of December Assessments please check out the Excel Record Spreadsheets to accompany the rest of the assessments in the Assessment Booklets; if you have any suggestions for how to improve these, please leave them here. Storytelling Week runs from Sunday 27th January to Sunday 3rd February. While this is primarily a UK based event, it does serve as a timely reminder of the rich role that mathematical stories can play in the early years. For teachers of infants to second class, be sure to check out the Literacy suggestions within the Integration section of each short term plan in the TRB. As mentioned above, even from when they are very young, most children are quite adept at comparing what he/she has with that of another. As part of the strand early mathematical activities (i.e. pre-number) the children will already have had experience comparing sets by quantity (but without counting) i.e. identifying which of two sets has an obvious amount more (or less) than another. They will also have been identifying two sets/objects as being the same or different. Understands the conservation of number i.e. that a short line of five objects situated close together still has more than a longer line of four objects further apart. Does not assume that the quantity of a set with objects bigger (or smaller) in size must be greater (or less) than the other set. Once a child is able to identify the greater set, the next step is to be able to state the difference between the sets i.e. how many more plates than cups? This can be a very difficult concept, with which children can struggle for many years. Use items that typically go together eg knives and forks, cups and saucers/plates, children and chairs/coats/school bags. Take a number of each and ask the children to suggest how we could ascertain the number of each. If not siggested by the children, the teacher should demonstrate how to set out the items in groups toegther eg the first knife with the first fork, the second knife with the second fork etc. If the quantities of each are not equal/the same, ask the children to explain how many more of the lesser quantity is required AND to explain how many extra items there are in the larger amount. In a mixed classroom, use girls and boys. Call up a random group of children, ask the boys to line up at the top of the room, and the girls to line up in separate line beside them, so that, where possible, each child is adjacent to one other child in the other line (if you are lucky enough to have square tiles on your floor, ensure that there is a child standing in each square space). Ask the children to identify the children who have a match/partner on the other line and the number of children who do not have a match/partner on the other line. This activity could also be repeated using dolls and teddies, toy farm or zoo animals, attribute bears etc. Use concrete manipulatives and pictures. Start with only two sets initially. Impress up on the children that the easiest way to see the comparison is to “line up” the objects, was done with the children previously. Use a grid of squares* to help with this. Once again, ask the children to identify where there is a “partner” fruit on the other line and the number of fruit that do not have a “partner” on the other line. These are the extras. How many more (extra) bananas than apples? How many more (extra) bananas than strawberries? *The 5×5 grid on the Operation Maths Sorting eManipulative is very useful here. The Operation Maths 100 Square eManipulative can also be used; select to show counters only and line up two (or more) rows or columns of different colours. Ultimately, it is hoped that the children realise that it is not necessary to establish the exact amount of each set to be able to establish the difference between each set. In the example above, there are two more bananas than strawberries, and it is not necessary to identify the number of each fruit to establish this. This encourages the children to develop efficiency and flexibility in their approaches. As the children move into first and second class, they should still be encouraged to “line up” the sets. If comparing the number of items in two static sets that cannot be lined up, eg an image in their books, the children can represent the number of items in each set using cubes and these cubes can then be lined up to make it easier to identify the difference between each set. This would link very well with their experiences of comparing quantities in pictograms and block graphs from the strand of Data. It is important that teachers are aware that establishing the extra number in the larger/greater set and establishing how many less/fewer in the smaller/lesser set requires the children comparing the amounts in two different ways. In the example above, to identify how many more bananas there are than strawberries, requires identifying the number of bananas for which there are no corresponding strawberries. However, to identify how many fewer strawberries there are than bananas, requires identifying the number of empty spaces in the strawberries that there are, opposite the extra bananas. While the answer is the same both time, the route to the answer is different, and the latter approach requires the children to count empty spaces, which is more challenging due to its abstractness. In second class, the children will begin to use the inequalities symbols (<, >). Many children will struggle with selecting the correct symbol to use, even if they can identify the larger or smaller quantity. Thus flashcards or reference cards such as the ones at this link can be very useful to connect both the language and the symbol. 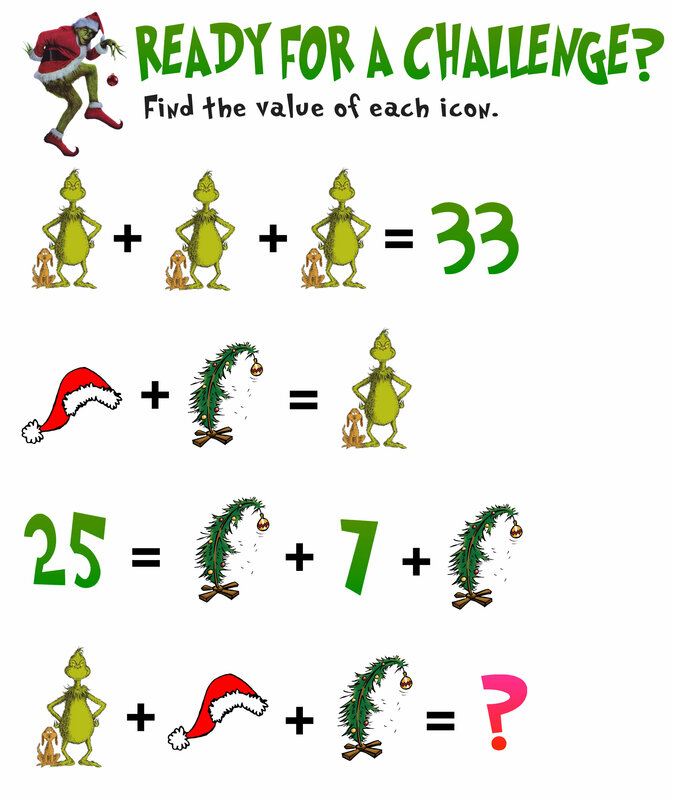 Interactive quizzes like this one from That Quiz or this one from ixl.ie can provide opportunities for extra practice. However, as emphasised previously, it may still be necessary to use a visual representation of both numbers being compared, for example using stacks of cubes, base ten blocks, straws or base ten money (10c and 1c coins). In this way, the children are now beginning to use their place value understanding also to compare quantities. As well as using the actual concrete materials, the Sorting eManipulative can be used to demonstrate how to do this using images of base ten materials; see Ready to go activities 2.3 and 2.4 as examples (screenshots below). As part of a early mathematical activities, the children will already have experienced ordering objects by length, size etc. Now, they are extending this understanding to order by quantity. In Junior Infants, once the children are able to count individual sets of up to five objects, this enables them to start ordering the sets of objects. The children are beginning to understand how higher numbers correlate with greater numbers of objects and vice versa. When ordering sets we must also consider the number word sequence i.e. number five comes after the number four so five must be a greater amount than four. The nature of the English words for the ordinal numbers (first, second, third, fourth etc) and the nature of their abbreviated forms (1st, 2nd, 3rd, 4th etc) can pose significant difficulties for children as, at first glance, there appears to be little correspondence between the forms, and the abbreviations may not appear to follow any rule or pattern. Another difficulty lies in the apparent contradiction between ordinal numbers and cardinal numbers; it is typically better to have 10 rather than 1 of anything, but it is typically better to be 1st rather than 10th in any competitive activity. Initially the focus should be on the spoken words only and the activities used should reflect this eg lining up children at the classroom door, asking the rest of the class to identify who is first, who is second, third, last etc. When ready, flashcards of the ordinal words should be introduced and these can be incorporated into the familiar activities eg the flashcard with “first” can be given to a child who must give it to the child in that position in the line. It is better to avoid using the abbreviations until first class and it is also better to start with the words, fourth, sixth seventh and tenth. Write the word fourth on the board and establish that the children can read and understand the word. Explain that for speed we want to find a quicker way to write/indicate this position and ask them to suggest what might be written to replace the underlined part of the word (ie 4th). Repeat this with the ordinal words sixth, seventh and tenth. Ask the children to suggest how fifth, eighth and ninth might be abbreviated and then finally ask for suggestions for the words first, second and third; ultimately, tell them the correct answers if they do not arrive at them themselves. In this way, the children are being prompted to discover the system of abbreviations that we use, as opposed to being just told. Hint: For first and second classes, there is a list of online interactive games here which will help as extra practice. There are also lots of useful videos on YouTube etc; just search for “ordinal numbers”. The Operation Maths Digital Resources have specific resources designed to support this strand unit, and have suggestions of online games in the Weblinks section. Full details of these can be found in your TRB. Click here for the Quick Start Guide to the Digital Resources. Welcome to the third installment in this year’s series of posts designed to explore the Operation Maths topics on a month-by-month basis, giving teachers greater insights into the concepts at hand, when they are most relevant. While each monthly overview will specifically zone in on the Operation Maths topics for that particular month, the information and suggestions will be relevant to ALL primary teachers, whether they are Operation Maths users or not. HINT: Teachers of Infants to Second Class – if you have yet to collate the results of your “End of October” Assessments, please check out this useful new addition to the Operation Maths resources that will make this process even more teacher-friendly and informative. 11 November marks the centenary of the ending of the Great War, “the war to end all wars”, which is now typically referred to as World War 1. For 5th and 6th class teachers, who are planning to explore this topic in history, check out these Maths Activities from the Trench Brothers Education Zone. Codes and code breaking were a very important part of warfare tactics during both World War 1 and 2. To find out more about the maths of code breaking click on the link.